DMK leader M. Karunanidhi warned that attack on Tamil fishermen by the Sri Lankan Navy would affect the bilateral relationship between India and Sri Lanka, especially at a time Prime Minister Narendra Modi had taken efforts to secure the rights for the Tamils in the country. “The attack has proved that our happiness over Mr. Modi’s speech in the Sri Lankan Parliament demanding equal rights and dignified life for Tamil is short lived,” he said in a statement. 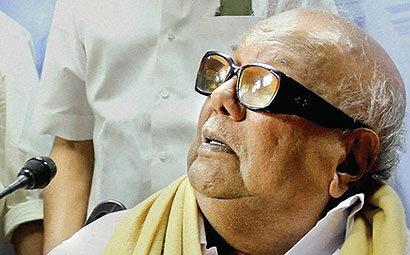 Mr Karunanidhi said the attack had taken place on the day Mr. Modi met the Sri Lankan Tamils.